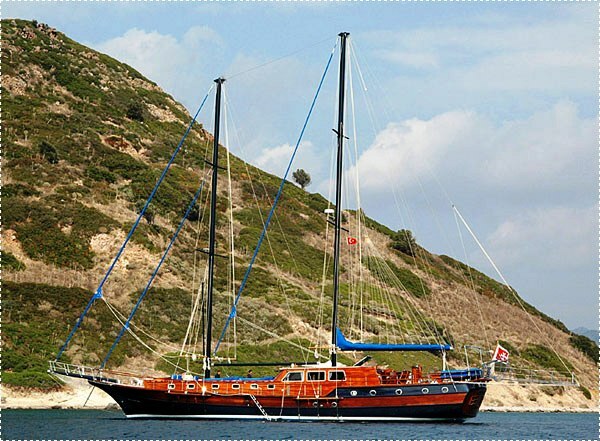 Luxury sailing yacht Blue Capricorn is a Turkish Gulet built in 2002 measuring 27,30 meters. 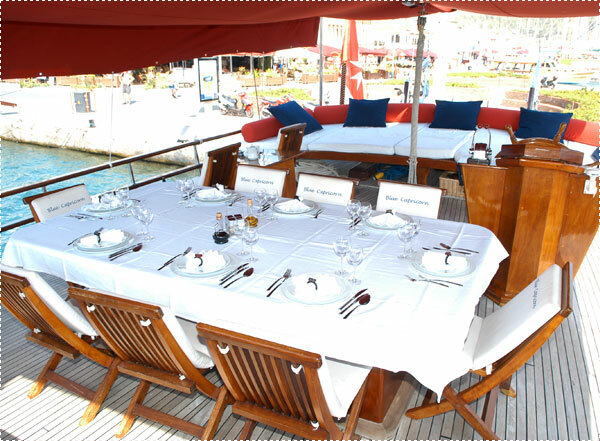 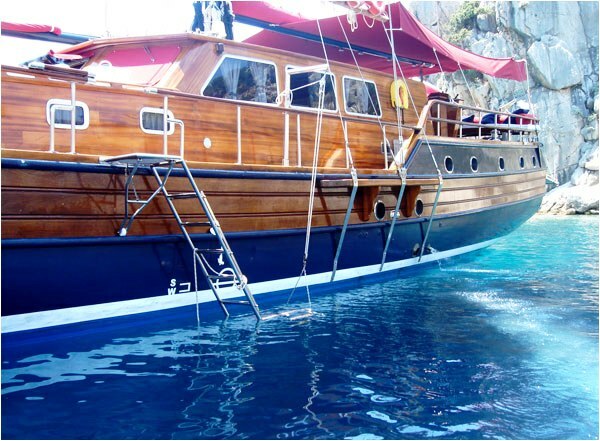 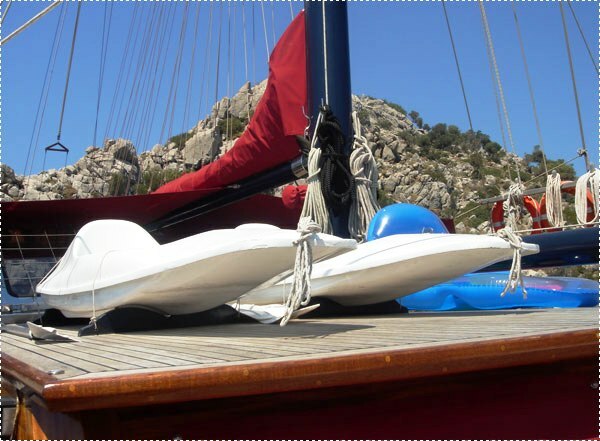 The Gulet Blue Capricorn in able to accommodate up to 12 guests in 6 cabins and features fine mahogany wood throughout. 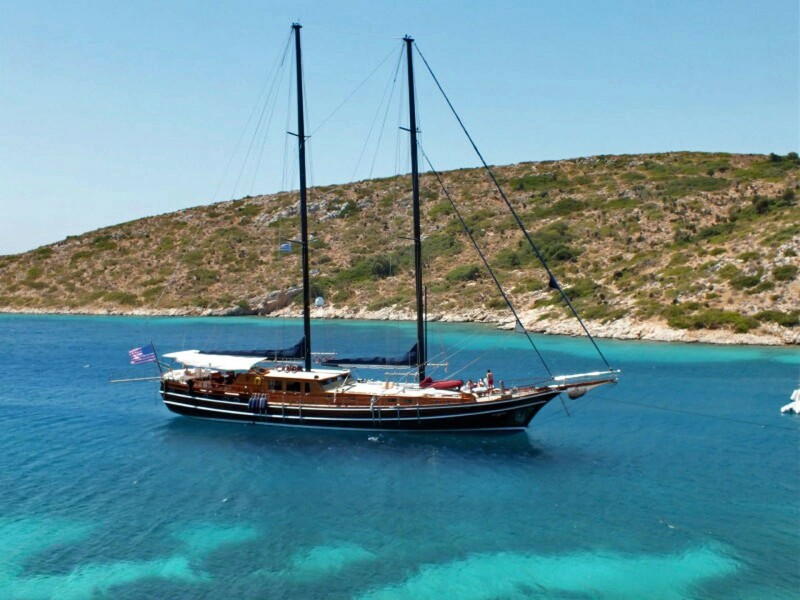 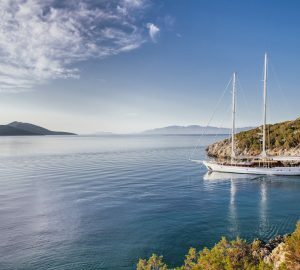 Sailing yacht Blue Capricorn is the perfect yacht for exploring the turquoise waters to Turkey in the Eastern Mediterranean. 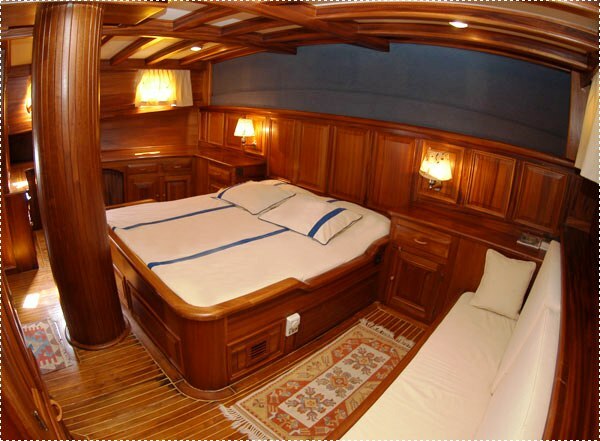 Charter yacht Blue Capricorn has Air-conditioning in every cabin and salon with individual control to ensure maximum comfort during the warm summer months. 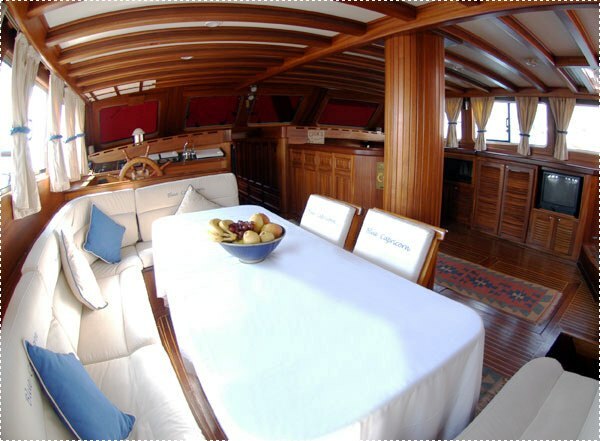 Gulet Blue Capricorn has a spacious saloon on the main deck has large windows perfect for viewing the remarkable Turkish coast. 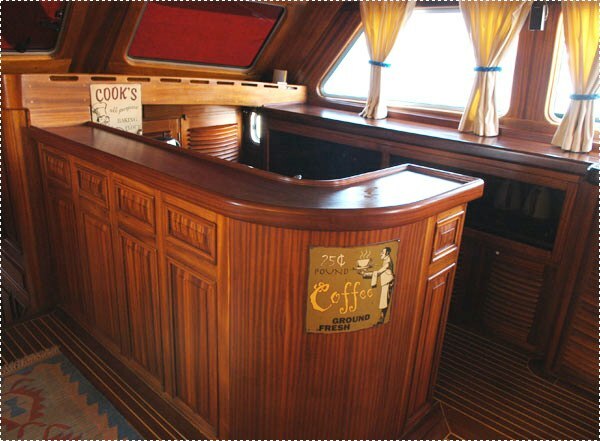 Dining facilities and a fully equipped bar are also located in the Salon on the main deck. 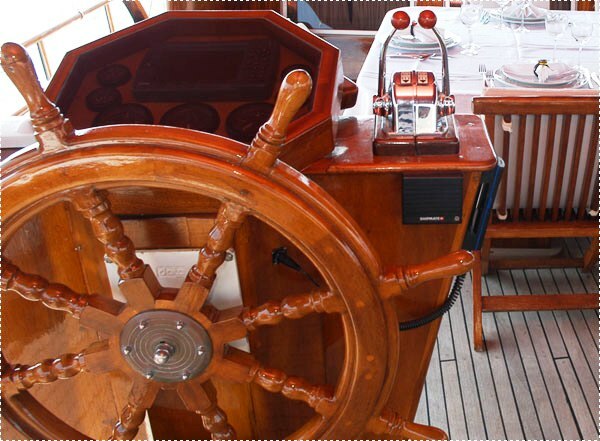 Charter yacht Blue Capricorn also has a fully equipped separate galley enabling functional service from the crew. 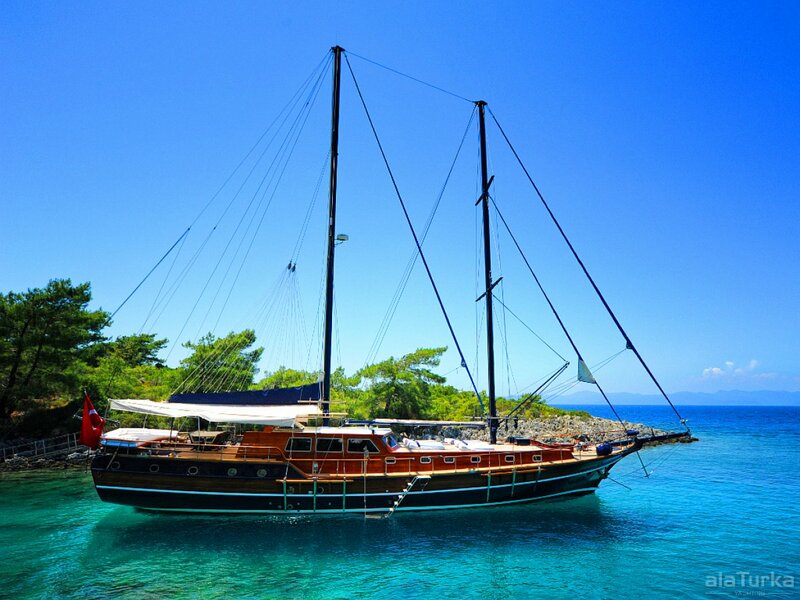 Another special feature of the sailing Gulet Blue Capricorn is her engine room which is acoustically and thermally isolated with special panels to avoid noise from the engines and the generators. 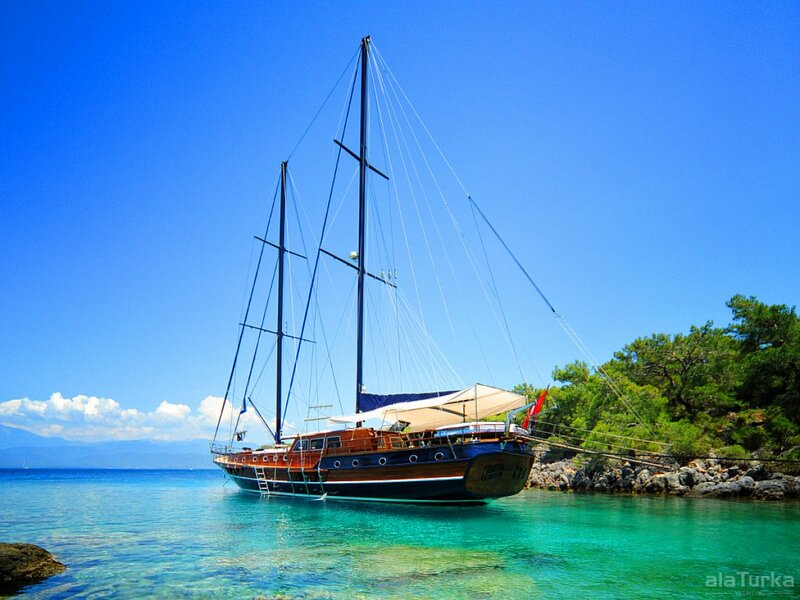 The luxury Gulet Blue Capricorn is able to accommodate up to 12 guests in 6 air-conditioned cabins. 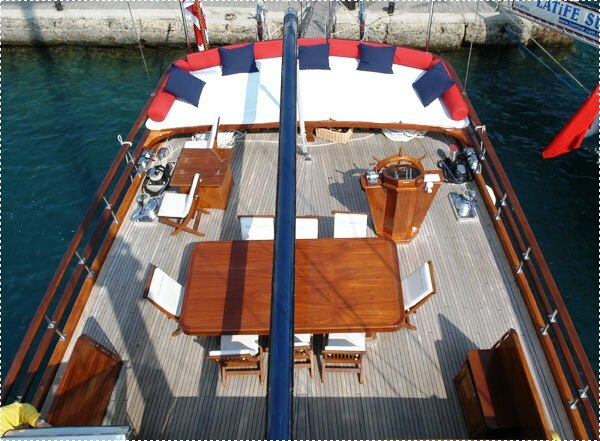 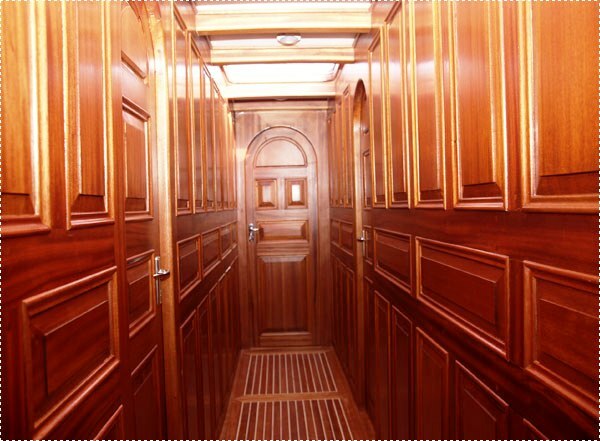 The layout consists of two master cabins, located fore and aft of the yacht, each with sofa and writing desk. 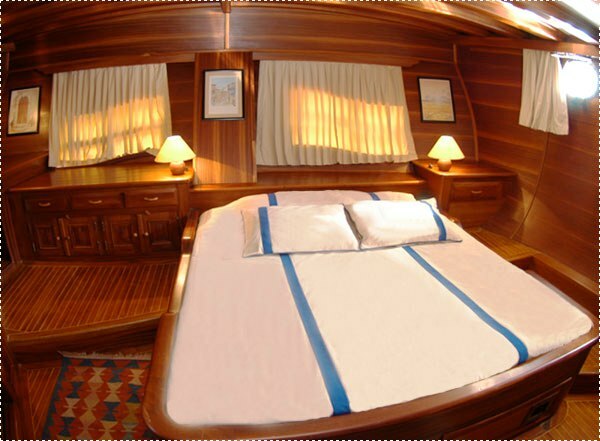 There are an additional 4 cabins including 2 cabins with double beds and 2 cabins with twin beds. 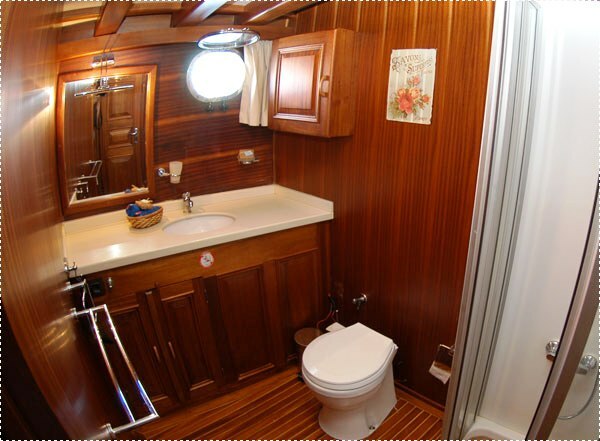 All cabins on motor sailor Blue Capricorn have ensuite facilities. 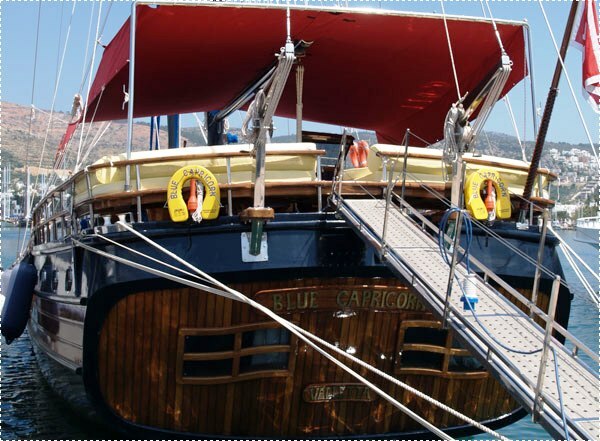 The external layout of motor sailor Blue Capricorn includes a very large aft deck with cushions and al fresco dining facilities. 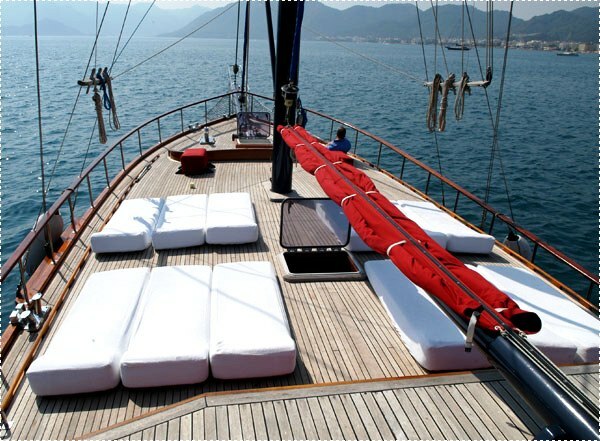 Her spacious foredeck offers plentiful sun-bathing areas and comfortable sun mattresses. 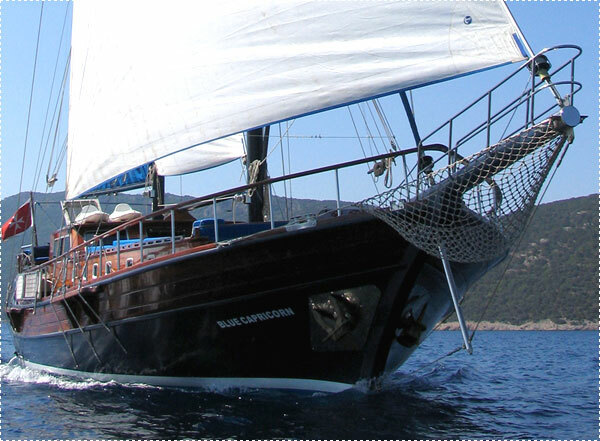 Gullet Blue Capricorn is based in Mamaris and is available for charter throughout Turkey and the Eastern Mediterranean. 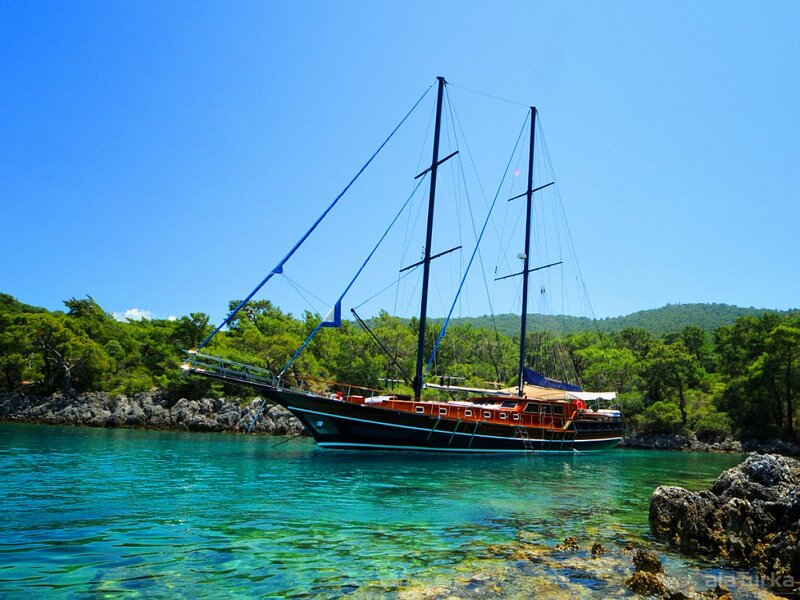 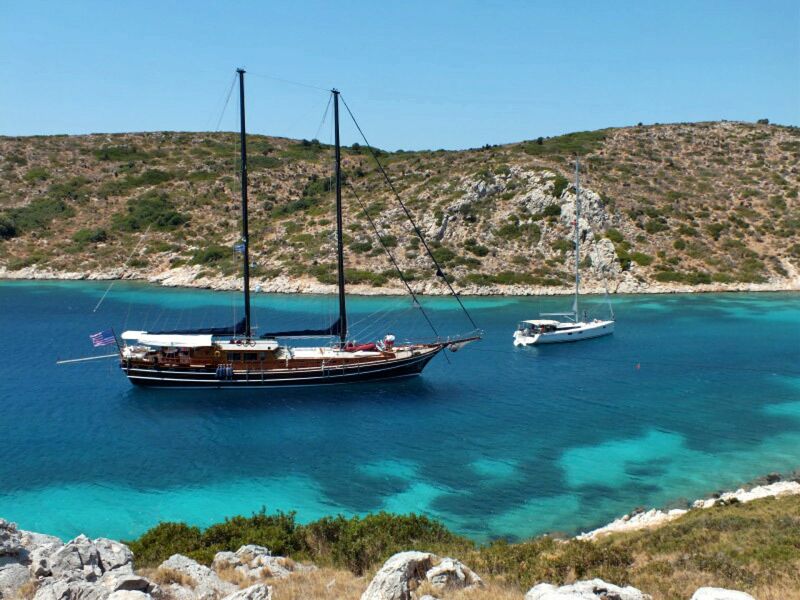 The luxury Turkish Gulet Blue Capricorn is able to accommodate up to 12 guests in 6 air-conditioned cabins. 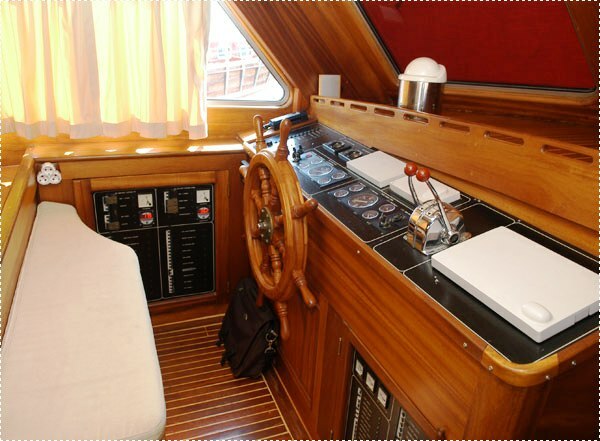 The layout consists of two master cabins, located fore and aft of the yacht, each with sofa and writing desk. 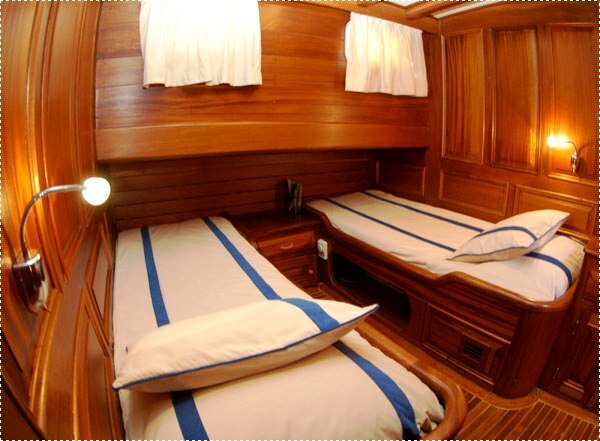 There are an additional 4 cabins including 2 cabins with double beds and 2 cabins with twin beds. 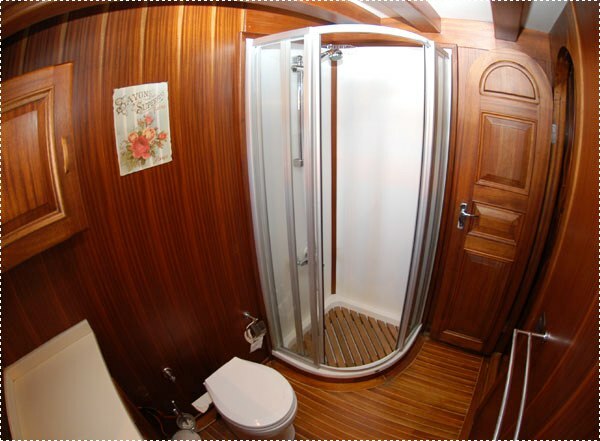 All cabins on motor sailor Blue Capricorn have ensuite facilities. 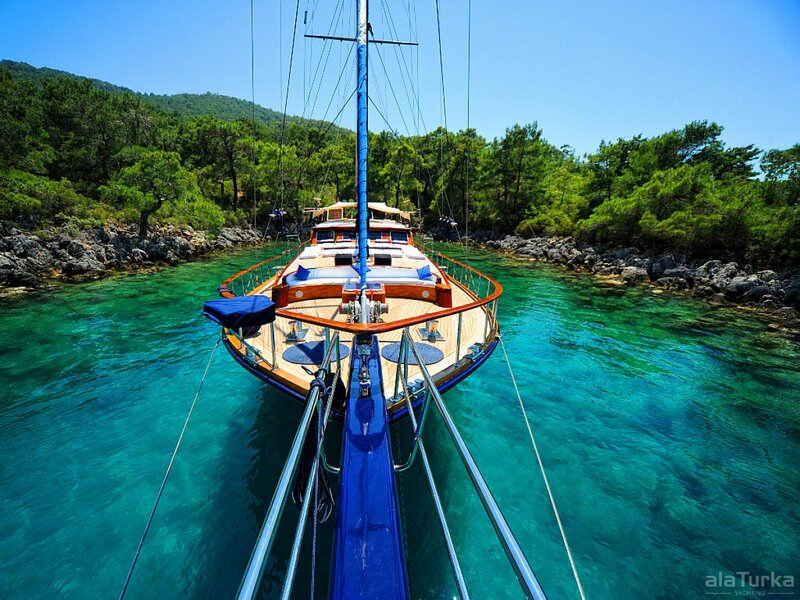 Turkish Gullet Blue Capricorn has the following extras and amenities onboard: Canoes, Snorkels, fishing equipment, Air-conditioning, a TV and music system in all cabins, Plasma TV and DVD in salon, internet, I pod connection. 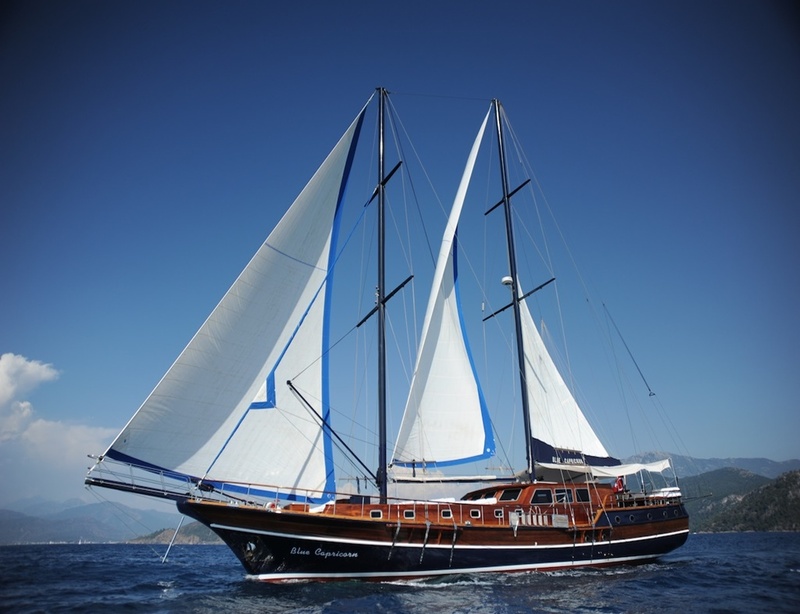 Please contact CharterWorld for more detailed information.